Bravecto Spot-On contains Fluralaner as its active ingredient. 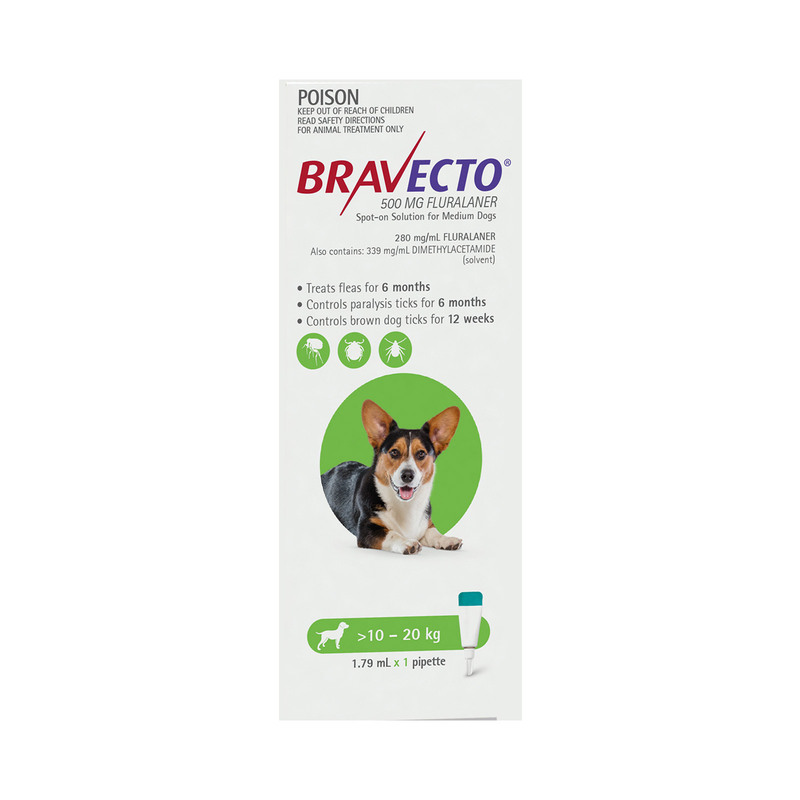 The ingredient has the high potency against fleas and ticks. It is highly active on target parasites. Fluralaner is powerful in inhibiting parts of the parasite’s nervous system by acting belligerently on ligand-gated chloride channels (GABA-receptor and glutamate-receptor). Thus, destroys fleas and ticks. Bravecto kills newly emerged fleas before they lay eggs. It breaks flea life cycle and controls further infestation. The spot-on is easy to apply and offers wide range of safety. 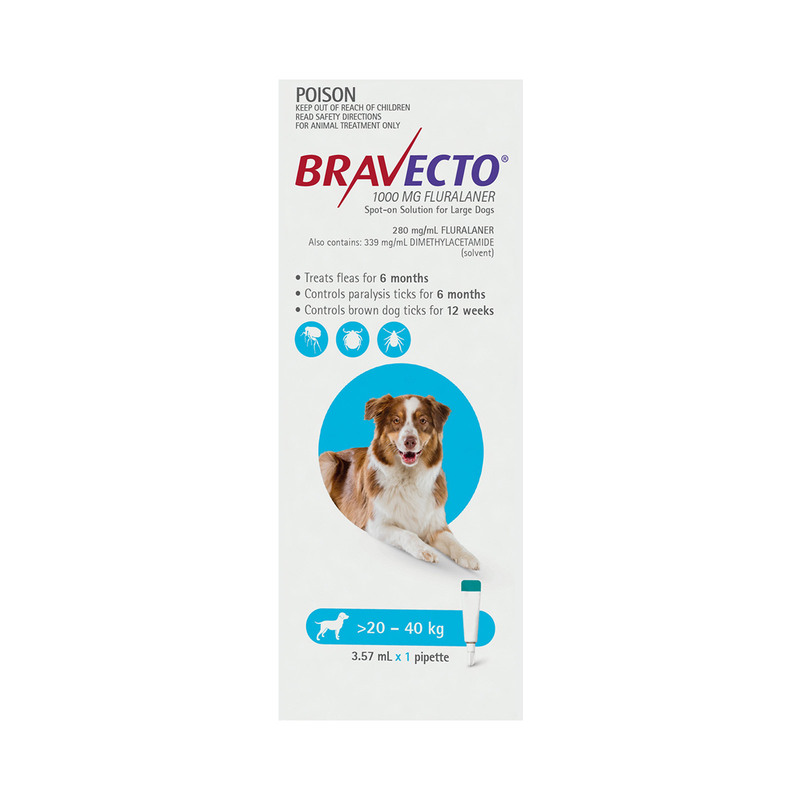 Ever since I have switched to this product, I couldn't find my dog itching or scratching. He is healthy and flea free. Large and Extra Large Spot On. No Reaction on either of my girls, the younger of which has very sensitive skin, and my older girl got heat spots using Advantix. Highly reccomend, just remember the cap doesn't come off, simply twist and use. Thank you so much for timely delivery. The product seems highly promising and it is quite easy to dose. Kills ticks within a day. 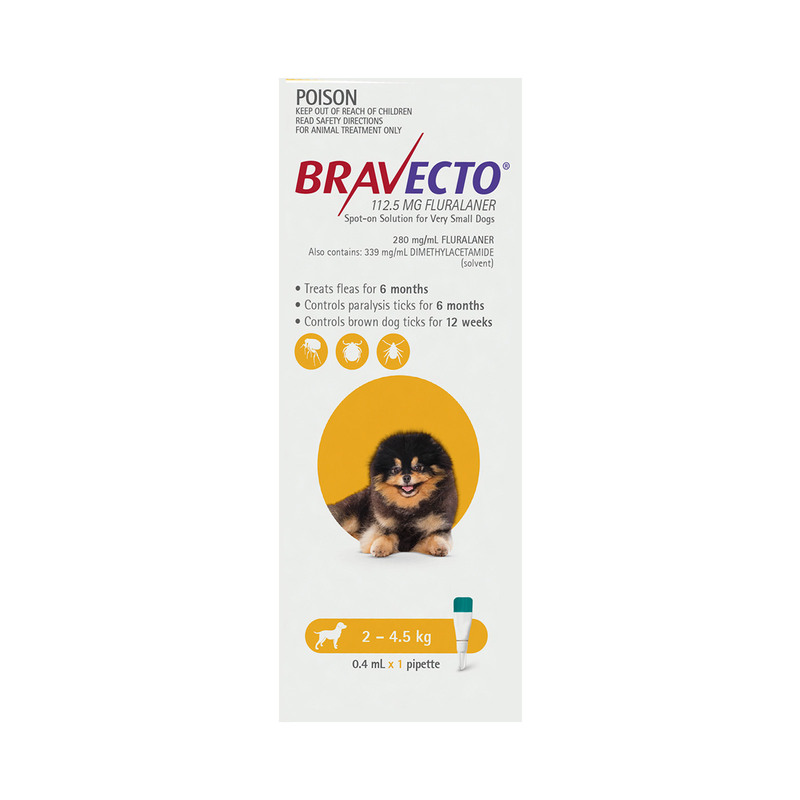 I have used this product recently on my dog and found it pretty amazing. All his ticks were dead the other day. Would definitely recommend this spot-on to others as well. I simply love this product. It protects my dog for complete 6 months. What a relief! No monthly reminders anymore.